July 27, 2009 – Toronto – At the end of this week, Delta Hotels and Resorts’ Community Cruiser will cross the finish line on its cross-country tour of Canada. The tour saw six Delta employees – Community Ambassadors – stop off in 33 different communities between Victoria, B.C. and St. John’s, N.L. to participate in a series of volunteer and fundraising activities. 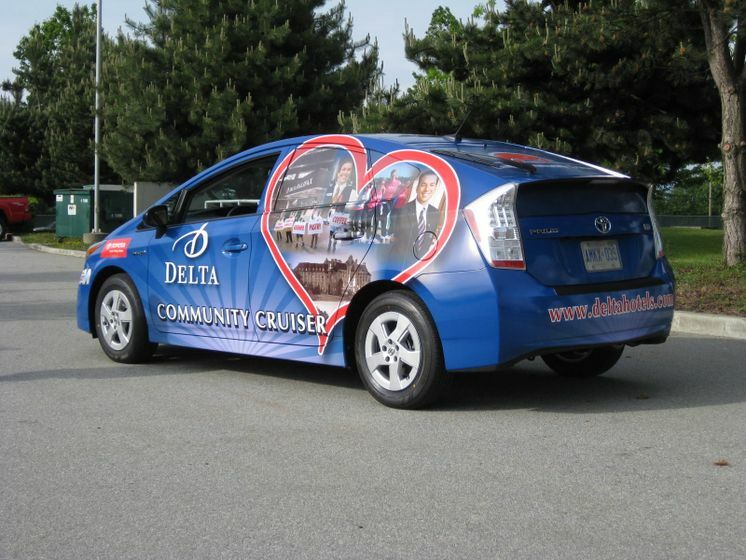 The Delta Community Cruiser stopped in 10 provinces over a 60-day period – a journey of 11,000 kilometres across the country that was taken in the new 2010 Toyota Prius. 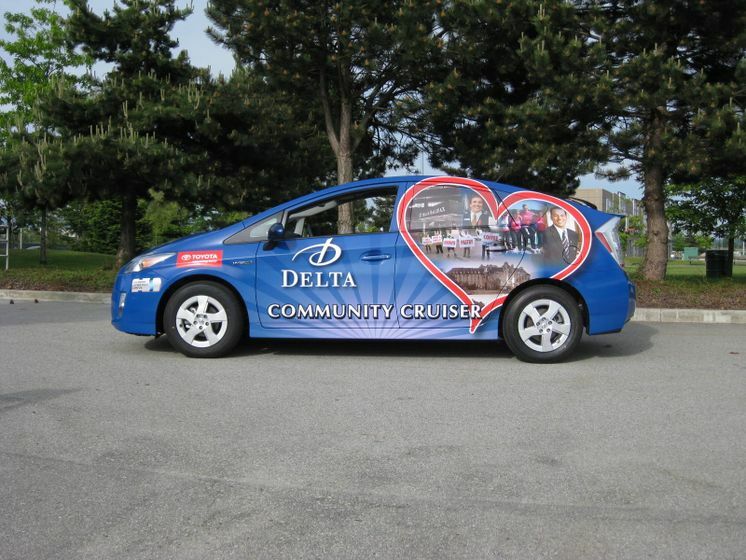 The Delta Community Cruiser Tour was a key component of Delta Helps, a program rolled out across all 44 Delta properties in Canada to demonstrate the company’s commitment to building strong communities. The initiative has already raised over $467,974 since its launch in January, for a wide range of community groups and charitable organizations. Delta National Ambassador Brianna LePiane explains that the tour has shown her how easy it is to make a difference, just by getting involved in your community. “The Delta Community Cruiser journey across Canada has clearly shown the value and fuel efficiency of the 2010 Toyota Prius with the vehicle using only 490 litres of fuel at a total cost of $494,” said Stephen Beatty, Managing Director for Toyota Canada Inc. "Over 1226 kg of GHG emissions have been avoided during the coast to coast tour resulting in 51% in fuel and emissions savings versus what an average mid-size vehicle would have achieved. This demonstrates why hybrid systems like the Prius are key to environmental sustainability and why they form the core of Toyota’s sustainable mobility strategy." 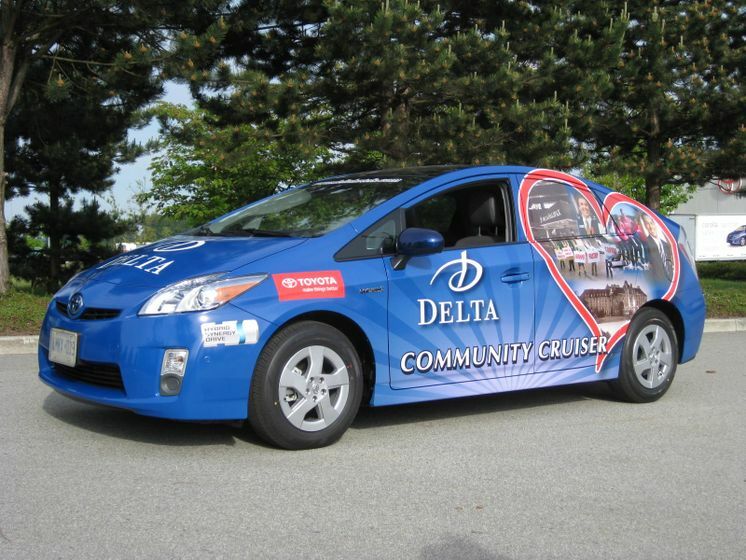 The new 2010 Toyota Prius is the official car of the Delta Community Cruiser Tour, demonstrating Delta’s ongoing commitment to the environment. A leading Canadian hotel management company, Delta Hotels and Resorts operates and franchises a diversified portfolio with 44 full-service, city centre and airport hotels and resorts under the Delta brand. Widely regarded as Canada’s “brand of choice” by guests and owners, Delta also distinguishes itself as an exemplary employer. It is the only hotel company to have been recognized for its sustained focus on business excellence by the prestigious National Quality Institute with three Canada Awards for Excellence, including the award program’s highest honour, the Order of Excellence (2007). The company also consistently ranks as one of the country’s best employers in The Globe and Mail’s Report on Business annual “50 Best Employers” list (2001–2003, 2005–2009). As well, its Corporate Social Responsibility platform, Delta Helps, includes a chain-wide commitment to the communities it serves through a national partnership with Habitat for Humanity Canada, participation in the Hotel Association of Canada’s Green Key Eco-Rating program, and work with various other charitable groups. For more information, visit http://www.deltahotels.com/. Toyota Canada Inc. (TCI) is the exclusive Canadian distributor of Toyota and Lexus cars, SUVs and trucks, and Toyota industrial equipment. TCI’s head office is in Toronto, with regional offices in Vancouver, Calgary, Montreal and Halifax and parts distribution centres in Toronto and Vancouver. TCI supports more than 300 Toyota, Lexus and Toyota Industrial Equipment dealers in Canada with services that include training, marketing and environmental and customer satisfaction initiatives. Toyota’s Canadian operations include automotive assembly plants in Cambridge, ON (Toyota Corolla, Toyota Matrix, Lexus RX350) and Woodstock, ON (Toyota RAV4), which together employ more than 5,700 Canadians. More information about Toyota is available at http://www.toyota.ca/.